AMD has officially teased their next-generation Vega GPU architecture announcement through a cryptic image on Twitter. The teaser was posted by AMD’s official Radeon RX twitter page which gives us a hint about what the teaser is all about. With the arrival of 2017, AMD is going to bring forward a new GPU architecture for consumers. This new architecture would be known as Vega and will be part of the latest Radeon RX series family which will be using HBM2 memory to power high-performance, enthusiast-grade graphics cards. 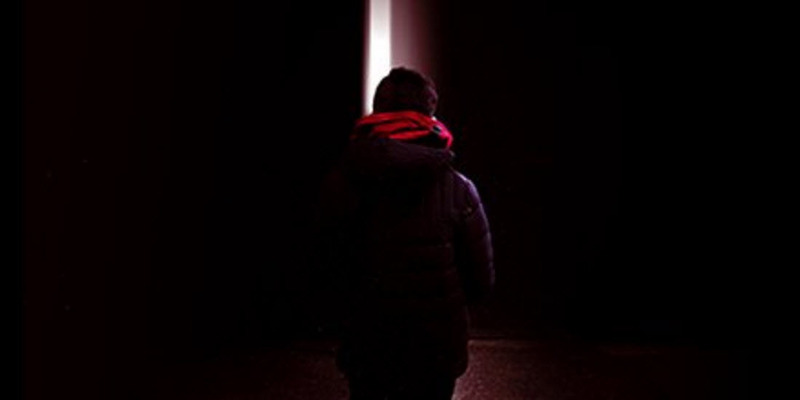 The teaser itself shows a person facing towards a bring red light. We literally don’t know what it could mean as this image could be part of a trailer for the upcoming Vega based cards or something better. 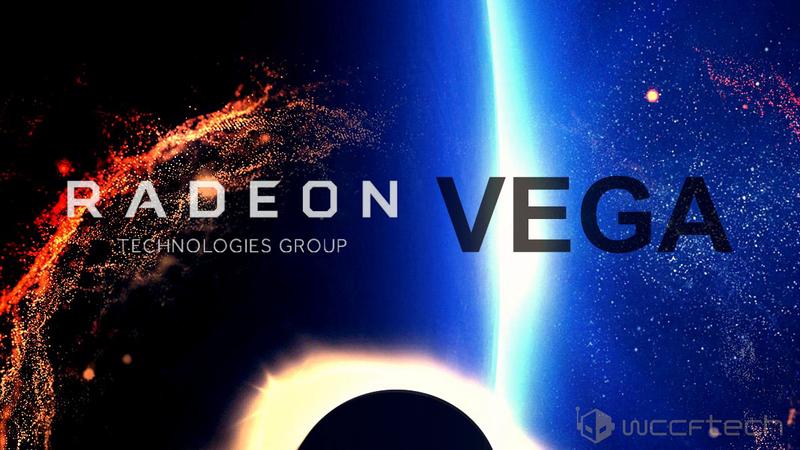 What AMD does make clear by posting it on their Radeon RX page is that this is the first official teaser for the Vega GPUs that will be arriving early, next year. The AMD Vega GPU will be embedded inside a new generation of Radeon RX series cards. There isn’t much room to fill inside the Radeon RX 400 series so my best guess would be a new family for Vega. It certainly makes more marketing sense since a full fledged Radeon RX 500 series lineup sounds much better. The new family will feature several cards based on the Vega GPU, rumor has it we will be looking at both HBM2 and GDDR5/X variants. 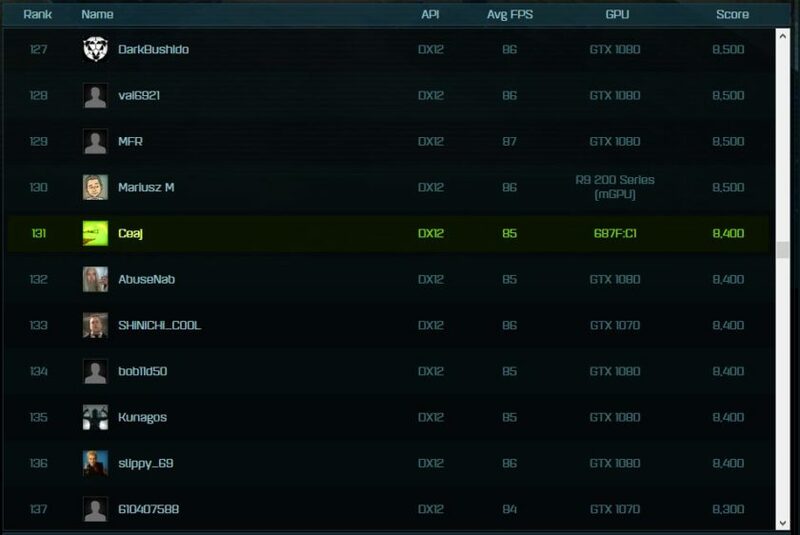 Coming to the specifications, we have already seen two variants of the Vega GPU demoed by AMD. First one is the Instinct MI25 Accelerator which made highlights at AMD’s Tech Summit 2016. 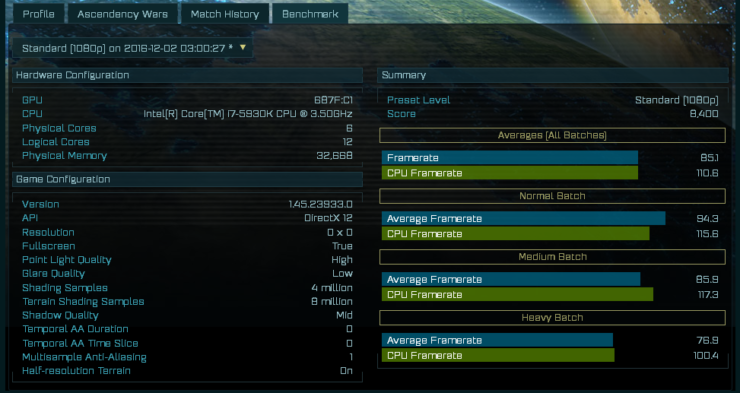 The AMD Vega 10 GPU has a peak compute performance of 12.5 TFLOPs in single precision mode. 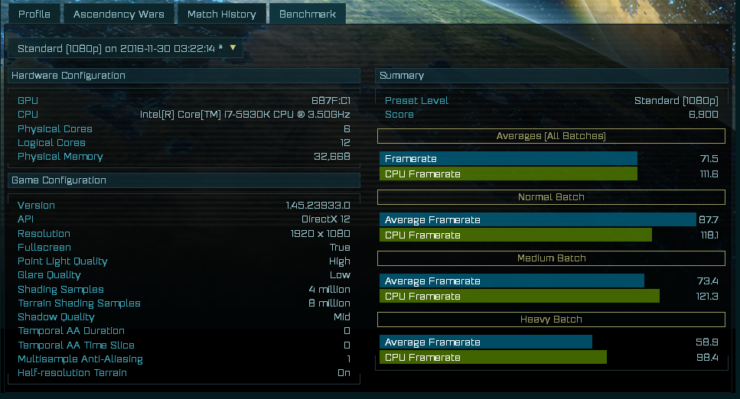 It also has twice the packed math or mixed precision compute performance that is rated at 25 TFLOPs. We can assume that this chip has a dual precision performance of 6.25 TFLOPs if it features a 2:1 ratio of single- to double-precision throughput like its competitor. 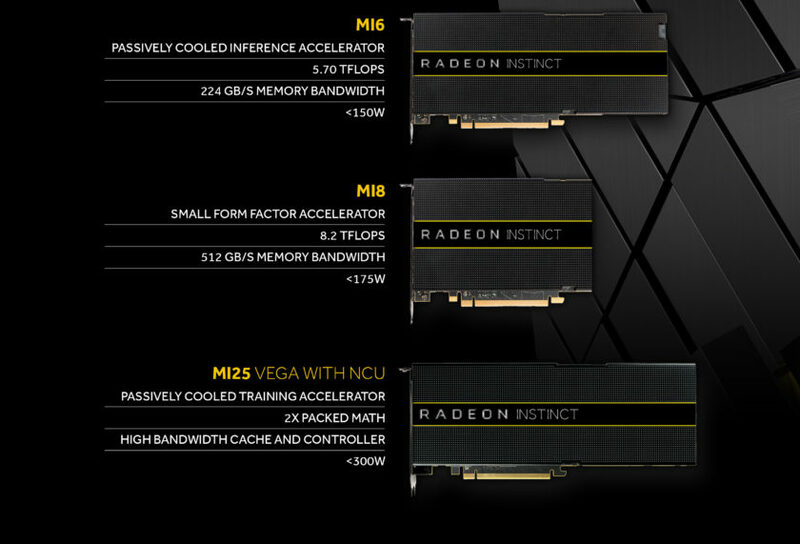 AMD packs a few additional technologies such as NCU which is being assumed as “Next Compute Unit”. 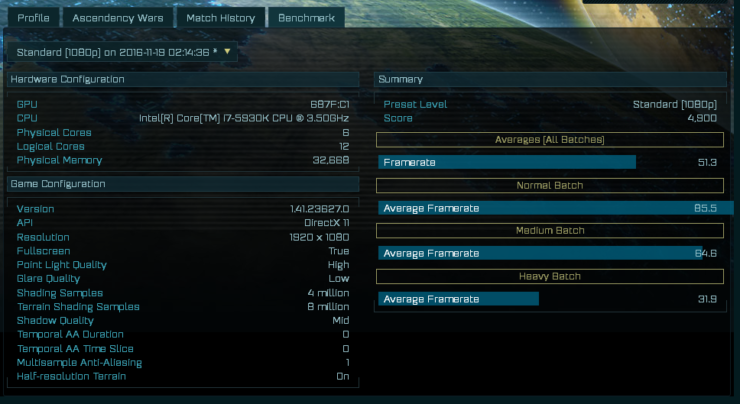 AMD also packs in a high band width cache and controller. The whole card package is rated at less than 300W which is lower than the P100. The specific product has a memory bandwidth of 512 GB/s on an HBM2 interface. This would mean we are either looking at a 2048-bit memory bus (2 HBM2 stacks) at 1000 MHz or a 4096-bit memory bus (4 HBM2 stacks) at 500 MHz. The capacity of the card is 16 GB and would be utilizing the second generation high-bandwidth memory interface. The consumer variant of the Vega GPU was demoed in Doom and put up some fiery performance against an GeForce GTX 1080 graphics card. 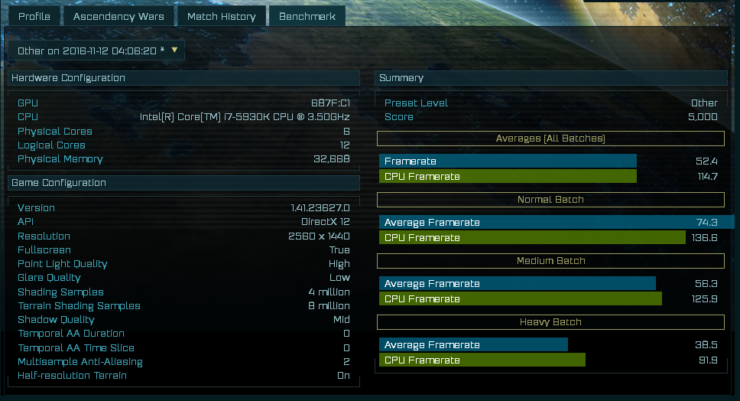 The card was seen outpacing the NVIDIA solution but we don’t have exact metrics at hand. Regardless, it’s nice to see Vega GPU being faster than an enthusiast solution based on the NVIDIA’s latest Pascal GPU architecture. Later on, we confirmed that this was the exact GPU that showed up in AOTS database earlier this month.This variant packs 8 GB of HBM2 and is more focused at desktop PCs rather than HPC market. Performance of this card was on par with GeForce GTX 1080 but drivers have not been optimized for it yet so we can expect even faster performance from the final variant. The benchmarks also shows the card performing next to a high-end GTX 1080. Currently, there’s no GPU from AMD that comes this close in the Polaris Radeon 400 series lineup. If that’s not enough, AMD also demoed the Vega GPU at New Horizon event and showed the card running Star Wars Battlefront at 4K with greater than 60 FPS which was higher than the refresh rate of the monitor displaying the game. This card really looks to be top-notch and built for enthusiasts and we can’t wait to learn more about it. AMD will obviously be giving us more details of the Vega GPU at CES 2017 and the new RYZEN CPUs which are also coming out in Q1 2017.